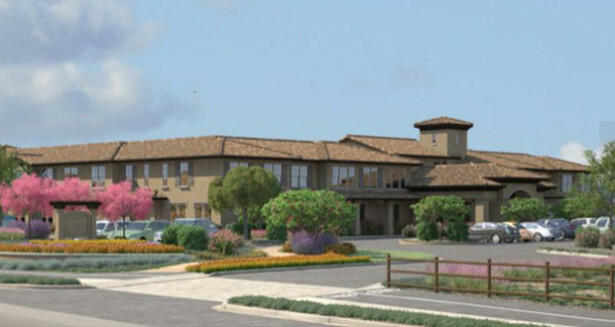 The Santa Clarita senior living community Oakmont of Santa Clarita is quickly approaching its highly anticipated grand opening, expected in early 2016. Currently available to seniors interested in assisted and independent living are tours of model home apartments, and seniors will not need to move again if their assistance needs change. Located across seven acres of lands on Newhall Ranch Road, the 80-unit pet-friendly community is still accepting reservations for specific apartments while adding those interested in certain floorplans to waitlists. Traditions Memory Care is a separate wing of the community that will be dedicated to meeting the specific needs of seniors with dementia and Alzheimer’s disease. In addition, the brand new property was specifically built to meet the needs of seniors. Available amenities at Oakmont of Santa Clarita will include a salon & day spa, movie theater, fitness center, activity rooms, library, indoor and outdoor restaurant-style dining, bistro, gardens and walking paths, pet park and wellness center. All residents will have access to experienced staff members 24/7, and those in need of additional care can pick an assisted living care plan to meet their needs, including a diabetic wellness program that is not available anywhere else in the SCV.